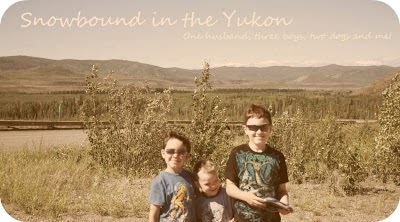 Snowbound in the Yukon: Free time. Sometimes its hard to know where to start when you have a free moment. Kids are with nana and the little oen is sleeping right now. What do I do with myself? I have a lot to do but just not sure where to start. I did a bit in my room this morning but I have craft stuff to organize and I'd like to get that done by Tuesday's craft night. I want to work on Bubba's first year book but I also have collages I want to make of Buddy and Bubba. I one of SmartGuys' that has always hung in the washroom but I may put it somewhere else now with the other two when they are done. I could even change SmartGuy's so it's not just his first year but his first 6.5 years.